I Recently joined elance and I don’t have any reviews due to the fact that I didn’t win any bid yet. However, I've observed that all the old service providers are already ranking on top, so how can a new comer get a job on Elance? Sounds like a simple idea but it works, you need to undercut the freelancers above, make it attractive for clients to come to you & show them you provide quality work - once you get a good amount of clients - make sure each client leaves you a positive 5 star feedback. Elance profiles are sorted by Elance level and you can get higher ranking by improving your level with time and experience. Elance search also takes keywords into account so make sure all the keywords associated with the job you are looking for are listed in your profile. 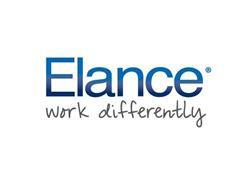 The Individual Membership plan from Elance costs $10/month and offers many benefits, including higher search ranking. If your clients give you good feedback and rate you well you will begin to rank higher than others in the search results. Just make sure any client you work with is satisfied enough to recommend you. A good way to get more clients and stand out in results is to take skill tests related to your field and verify the credentials on your profile. People will trust you more when they see you are verified and have passed tests. Free email lists for create your company marketing campaigns. 100% free email lists here form usa, uk, au, italy, swiszerland.